South African universities face a crisis of public confidence and the sector needs to find new ways of working together and with their broader society if they are to fulfil their mandates and support the survival of the country’s higher education system, according to Universities South Africa (USAf) Chief Executive Officer Professor Ahmed Bawa. Speaking at the annual leadership retreat convened by Inyathelo: The South African Institute for Advancement and attended by government, civil society and higher education representatives, Bawa reminded delegates how universities had been portrayed by the media during the #FeesMustFall student protests that spread nationwide in 2015. Human Rights Day in South Africa is marked on 21 March, commemorating when 69 people died and 180 people were wounded when police fired on a crowd protesting against pass laws in Sharpeville in 1960. On this date South Africans are reminded of their rights, and the sacrifices made to entrench those rights. South Africa’s Bill of Rights is found in chapter 2 of the Constitution. International support for South African higher education institutions (HEIs) has shifted markedly since the country rejoined the international community in 1994, says Ghaleeb Jeppie, Chief Director: International Relations, Department of Higher Education and Training. About 35 representatives of NPOs and universities, from Cape Town and Johannesburg, attended a digital fundraising workshop at Inyathelo’s Civil Society Sustainability Centre on 12 February. The World Day of Social Justice, 20 February, has been marked since 2009 by the United Nations. The 2019 theme is: If you want peace and development, work for social justice. At the recent Inyathelo Leadership Retreat (Cape Town, 21-23 January) there was critical comment and reflection on funding opportunities using the ASPIHE Report as a foundation. This is an annual survey on philanthropy in higher education that has proven to offer valuable insights – previously, information was sparse and scattered. Delegate to your teams, communicate with them and nurture your relationship with your governing body, when preparing for turbulent times at institutes of higher learning. 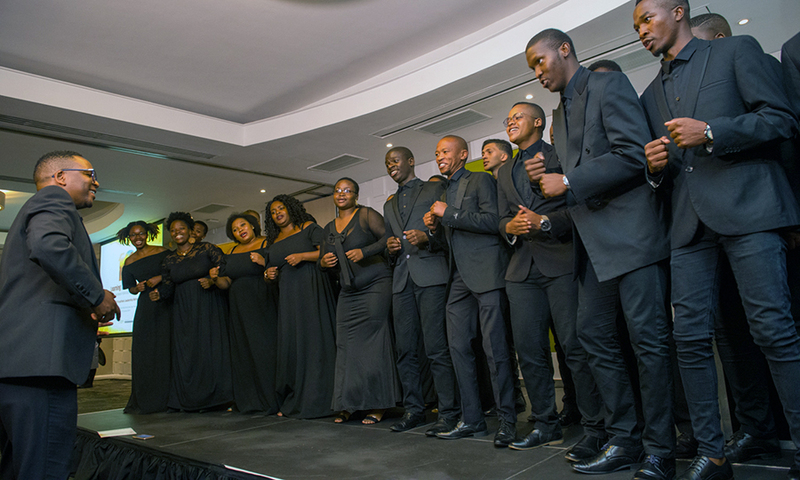 Local and international leaders in Higher Education are marking the completion of a 13-year, US$22,4 million capacity-building programme that has boosted the sustainability of many South African universities and contributed to new university infrastructure, staff, student and research funding, and bursaries.